Strawberries are an easy flavor to work with. 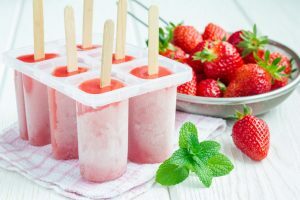 To get you started, here are some fun and easy treats that are great for summer! This recipe is a great healthy alternative for your little ones! In a medium bowl, mix halved strawberries and about 3 tablespoons of sugar. Let the mixture sit for about 10 minutes so the strawberry juice can absorb into the sugar. In a blender or food processor, combine the strawberries and sugar with optional flavors (such as lime juice, mint, or even sliced bananas) and blend thoroughly. Pour the mixture into popsicle sleeves, freeze, and then enjoy! Who doesn’t love muffins? Especially when you mix in quarter-sliced strawberries. 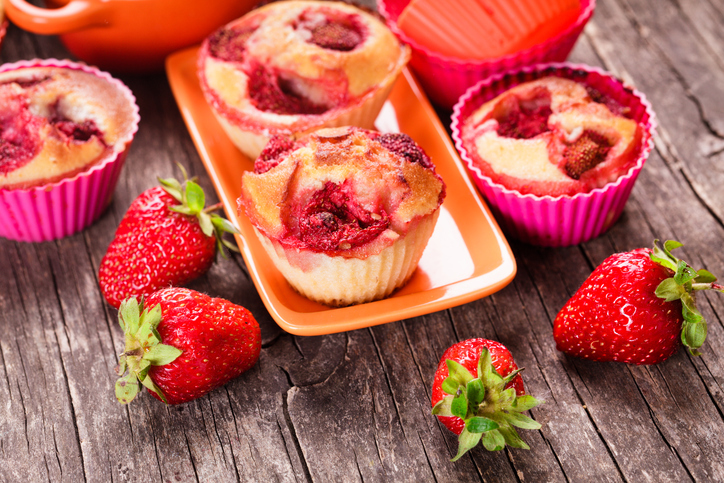 If your strawberries are getting close to the end of their ripeness, baking them into a muffin will save them from going bad. Plus there will be plenty of leftovers for a quick breakfast or afternoon snack. So easy! In a medium bowl, add cold water, ice, halved strawberries, and sugar to taste (about 1 cup). 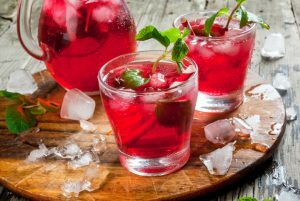 Mix together, pour into a pitcher, and then serve! You can take these to go at the park, or enjoy them on the deck. If you’re ready to brighten your summer menu, come check out our upcoming menu! Our summer boxes are going to have juicy, flavorful fruits, and we’ll deliver them right to your door. You can take a peek at our menu options at Farm2Counter.